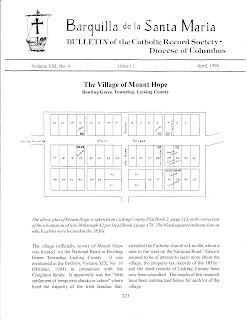 But taken a bit further, the Catholic Record Society of the Diocese of Columbus has compiled much of their church records and published the Barquilla de Santa Maria newsletters coving over 35 counties (see map). Many church organizations and societies have done the same, making our genealogical search a bit easier. Here's an example of what you may find. The Catholic Record Society of the Diocese of Columbus took on an ambitious endeavor. Here is an abstract of their mission statement “dedicated to the searching out, preservation, and publishing or otherwise making available to researchers and the public any materials pertaining to events, persons, organizations, and places in Ohio historically associated with the Diocese of Columbus.” Now that’s a genealogist’s dream mission statement for a repository! 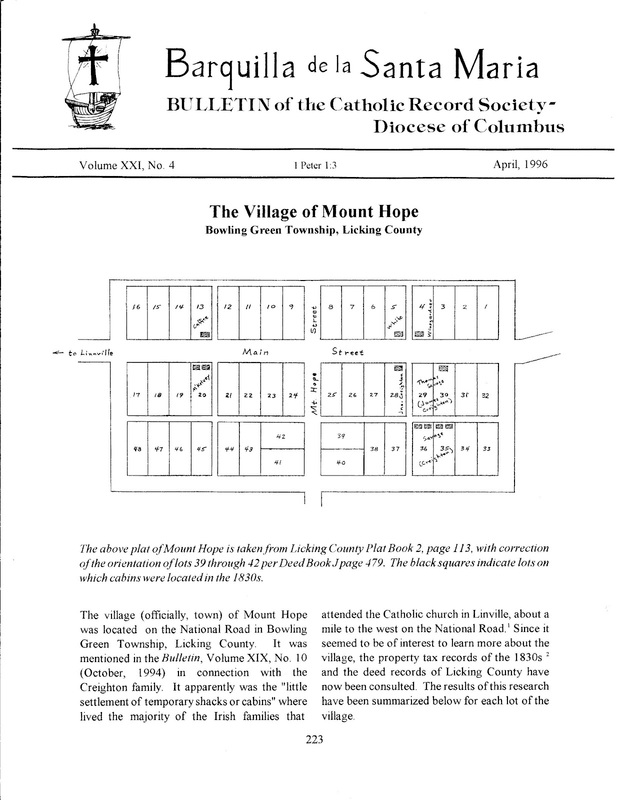 The Catholic Record Society of the Diocese of Columbus began publishing “narratives of historical and genealogical” interest in 1975. Currently over 3000 pages have been published and many can be accessed online. The best part is that in most cases your ancestor may be searched online by name index and then with a corresponding Volume search the referenced image can be located. Know that Volumes between 1988-2002, have been indexed but the documents are not yet online! Visit the Index Page. In addition to the ancestral-filled tips of our ancestors, this Catholic Record Society has made cemetery information and other Research and Records available. Know that records and documents cannot be accessed by the public in person. As already mentioned documents and images of early Volumes are online for free. Here is the Order Form needed in order to obtain individual copies of documents not yet accessible on the website. Recently, I needed a few individual pages (vs. Volumes) and found the cost to be extremely reasonable. But be sure to specify exactly what you are looking for and know that you should conduct the online index search first!